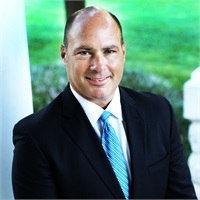 Jim Whatley serves Wilson County as Assistant Vice President at Wilson Bank & Trust Investment Center and offers securities as a financial advisor with Raymond James Financial Services, Inc. along with Ann Wajler, Registered Financial Assistant. Jim and his team assist clients with all aspects of their personal financial responsibilities and the ongoing management of their investment portfolios. Jim currently manages over $100 million in assets for his clients, helping individuals, families and businesses accumulate and preserve wealth in the middle Tennessee area. Jim began his career with Prudential Securities in 1988 and later moved to First American Bank. He joined Wilson Bank & Trust Investment Center in 1999. He is a member of the prestigious "Executive Council" with Raymond James, awarded to him in 2004, 2013, 2014, 2015, 2016, and 2017. Membership is based on prior fiscal year production. Re-qualification is required annually. A 28 year resident of Mt. Juliet, Jim and his wife Faith raised their children Grace and Hugh here and support Mt. Juliet in their church and business life. Jim and his team are also extremely active in the community and in local charitable efforts such as Mt. Juliet Relay for Life, Down Syndrome Association of Middle Tennessee, The Family Center, Charis, Muscular Dystrophy Association, FCA and many others. In his spare time Jim enjoys singing in his soul band "Blues Brokers" and any activity he can do with his lovely wife Faith.